1. Efficiently transport large bulky loads, and then folds flat for easy storage. 2. Sturdy structural plastic deck won&apos;t rust, chip or peel. 3. 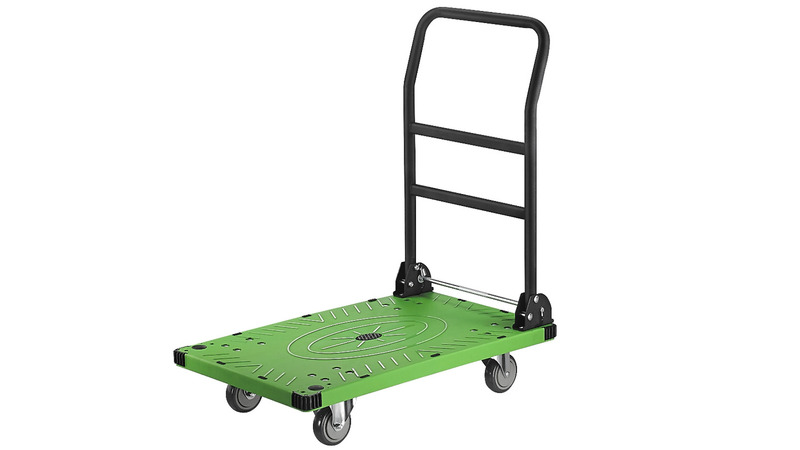 Non-skid platform surface helps prevent load shifting. 4. Tough molded deck is easy on walls and doors. 5. Three-position handle lets user push, pull, or fold flat for using as a dolly. 8. Available in 3 size: Small, Medium, Large.